« Interview with Queer Vegan Food on Our Hen House! This book is going to be amazing. I am so proud of you! on January 15, 2013 at 3:27 pm | Reply Sarah E.
Thank you, Angel! The other pieces are incredible I can’t wait for the book to come out! I can’t wait for this book! You, Jasmin, and Carol Adams together in one book? Could it get any better than this? Your piece sounds fantastically intriguing, just like everything else you write. Way to go, Sarah! on January 15, 2013 at 4:38 pm | Reply Sarah E.
sarah this is amazing! congrats 🙂 i am so proud of you and can’t wait to read more of the book!! on January 15, 2013 at 5:47 pm | Reply Sarah E.
Thank you so much, Heidi! Your support means the world to me, truly. I am such a big fan of yours and am excited to give you a copy when it comes out! I will definitely read this book when it comes out – especially your contribution. I expect it to be challenging and well-written. And congratulations on being included in the anthology. on January 16, 2013 at 6:48 pm | Reply Sarah E.
Sarah, communicating with you means a lot to me as well. I just am saddened that we never found time to sit down in person before you moved all the way across the country. I think there is a lesson to be learned there. March, 2013 for the publication, I see. “Talk” then if not sooner. on January 24, 2013 at 10:58 am | Reply Sarah E.
What a lovely story of your queer vegan origin! 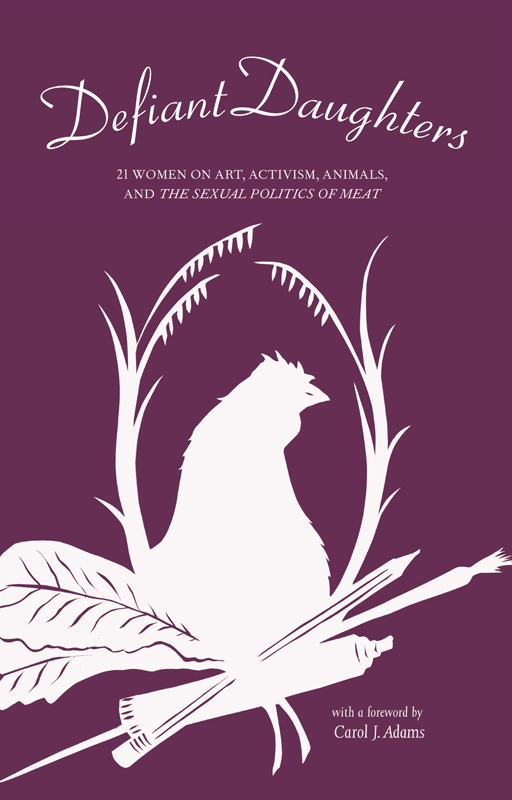 I too became vegan because of a close relationship with another person that led me to books and politics. I find that these stories—stories of human connection followed by education—are very common (for queers and vegans and leftists more generally), and that gives me a lot of hope in the future, and a lot of faith in the magnificent power of human relationships and community. on January 16, 2013 at 7:42 pm | Reply Sarah E.
That’s awesome that you found your way to veganism because of a relationship. It is really inspiring and gives me hope too! like! I will definitely read it when I get the chance. Must be wonderful to contribute to such a special book, congratulations! on February 4, 2013 at 11:46 am | Reply Sarah E.
Indeed, I am honored to be part of this! 🙂 Hope you’ll enjoy the essays, many amazing pieces! I enjoyed reading your post and look forward to reading this book! (I heard Jasmin speak at “The Seed” in NYC last May. She’s funny and so inspiring. )I could listen to her all day. March is only one month away – can’t wait!